Wagner Equipment Co. is your dealer for XL Specialized Trailers, Trail King, Load King, SmithCo, Clement, and Towmaster trailers. 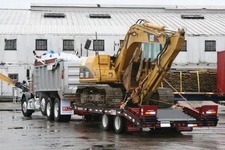 Wagner is dedicated to providing solutions for improved material and hauling capabilities. Load King is highly diversified in the ability to design and build trailers to fit customers’ needs and Wagner has complete lines of custom, as well as standard model trailers. With trailers ranging in load capacity from 6,000 pounds to 1,000,000 pounds, Trail King has trailers to serve a wide variety of applications. Steel bottom dump, tag and heavy haul trailers used in general and highway construction, demolition, oil/gas industries and elsewhere. These products are for sale throughout New Mexico, and Far West Texas. 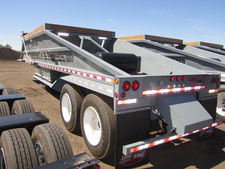 Bottom Dump trailers are available for rent through Wagner’s Heavy Rental Fleet. SmithCO Trailers are steel side dump trailers used in agricultural, general and highway construction, mining, demolition, oil/gas industries and elsewhere. This is the most popular and high volume trailer product we carry. These products are for sale throughout Colorado, New Mexico, and Far West Texas. These trailers are also available for rent through Wagner Heavy Rental Fleet. A line of pintle ball goose neck trailers with fixed decks and tilt decks. They have capacities in the 9,000 LBS to 110,000 LBS size. 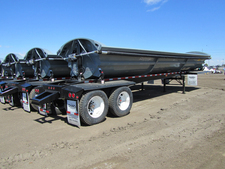 Steel heavy haul, tag and small light duty trailers used in landscaping, general and highway construction. Towmaster offers many models ranging from Drop-Deck, Drop-Deck Tilt, Hydraulic Dump, Beavertail, Deck-Over Tilt, Rigid Gooseneck (Step Deck), Detachable Gooseneck (Lowboy), and Hydraulic Tail. All with several options to customize a trailer for you. These products are for sale throughout Colorado, New Mexico, and Far West Texas. First in a full line of CAT vocational trucks, the CT660 redefines heavy-duty power, performance and productivity. You get the payload capacity you need for your applications, the creature comforts that fight driver fatigue, plus the low cost of ownership that protects your bottom line. The CT660 is powered by CAT CT Series Vocational Truck Engines with ratings specific to vocational truck applications and enough horsepower/torque combinations to tackle the toughest jobs. 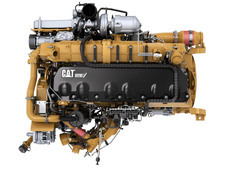 All CT660 engines are built with a Compacted Graphite Iron (CGI) block that saves weight (up to 500lbs.) so you can maximize payload. Stronger than standard iron, the block provides unprecedented reliability, durability and years of service life. Additionally, each engine incorporates an advanced EGR system with the latest in common-rail fuel injection technology, air management systems, piston combustion bowl design and electronic controls. Used for years in vocational applications arou nd the world, the CX31 Automatic Transmission has a proven track record for quality and reliability that helps maximize uptime. And CAT Dealers know it inside and out because they’ve been supporting it in various on-highway applications since 2004. 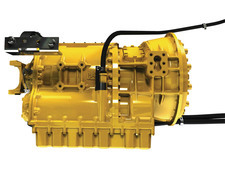 This transmission features 6-speeds (6 forward, 1 reverse). Your driver pool increases because anybody can drive the CT660. The housing changed to an aluminum housing to decrease weight, improve shift quality with “automotive type shifting,” improve serviceability and added standard industry PTO mounting options along with the only rear-mounted PTO option in the industry. The cab has been engineered for vocational applic ations offering advanced durability and comfort. Particular attention is paid to offering an interior low in noise, accommodating to large drivers with excellent external visibility. Superior visibility and lighting—plus easy-to-see and reach gauges, switches, controls and compartments—help drivers keep their eyes on the road and alert to hazards or obstacles.